Who is the father of Elizabeth Higgins? On January 8, 1894, Elizabeth Theresa Higgins and James Alfred Taylor are married by Father Mickle in Northampton County, Virginia. Lillie Higgins is 17 years old, single, and was born in Delaware. There is no mention of parents. She has consent of her guardian; no name is given. James A. Taylor is a 36 year old widower. He was born in Delaware, and his parents are Charles and Huldah A. Taylor. She was born in Wilmington, Delaware. She had a brother named Ned [a nickname for Edward]. She was raised by an aunt until the age of 4. She was placed in St. Peter's Orphanage in Wilmington, Delaware. 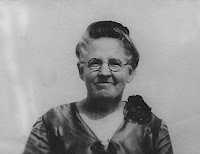 About the age of 10, she lived with a family, possibly named Myers, in Cape Charles, Virginia. Born in Wilmington--came to orphanage on 2/26/84 at the age of nine years. Mother--Catherine Myers, placed in orphanage by cousin--just called "Higgins"
The 1880 census shown below lists both Edward and Elizabeth Higgins. His wife's maiden name was Charlotte Myers. Charlotte Higgins died of consumption (tuberculosis) on November 2_, 1883 in Wilmington, Delaware when the Elizabeth Higgins in the census would have been nearly 4 years old. His father and mother were born in Delaware. He is a wage earner, a salesman in hardware. He can read and write, and he speaks English. Her father and mother were born in Delaware. She is a wage earner who works as a house keeper. Charles J. Higgins dies April 25, 1906 at the Southern Branch, National Home for D.V.S., Hampton, Virginia. He is a bartender unemployed 0 months. He owns his home free of mortgage. His father and mother were born in Pennsylvania. He is a machinist unemployed 3 months. His father and mother were born in Ireland. He is a painter unemployed 7 months. His father was born in Ireland; his mother was born in Delaware. He is a machinist unemployed 4 months. He can read and write and speaks English. He has been married 21 years and is head of family. He is a salesman in hardware and has been unemployed 0 months. Her father and mother were born in Pennsylvania. She has been married 21 years and has had 1 child who is still living. His father was born in Delaware; his mother was born in Pennsylvania. He is a steel tool maker who has been unemployed 0 months. Her father was born in Delaware; her mother was born in Pennsylvania. Relationship to the head of family is blank. 33 year old married white female born in Pennsylvania. She is Charles's wife and keeps house. His occupation is At School; he attended school within the year. Her occupation is At School; she attended school within the year. He is a clerk in a hardware store. He works in shoe factory and has $200 in personal estate. He is a male citizen of the U.S. of 21 years and upwards. He is a painter who has no real estate and $200 in personal estate. 17 year old white female born in Pennsylvania. Charles J. Higgins enlists March 13, 1865 in Wilmington, Delaware and serves in the Eighth Regiment of the Delaware Infantry. He receives an honorable discharge July 12, 1865 at Mummins? Hill, Virginia. Charles Higgins and Charlotte Myers marry October 9, 1864 in Philadelphia, Pennsylvania. 38 year old male born in Massachusetts? He is a shoe maker who has $3,000 in real estate and $200 in personal estate. She attended school within the year. He is a painter with no real estate and $500 in personal estate. She has $2,500 in real estate and $200 in personal estate. He is a blacksmith with no real estate and $100 in personal estate. He is a painter with no real estate or personal estate. He is a Ap Mch [apprentice mechanic] with no real estate or personal estate. He is a laborer with no real estate or personal estate. 27 year old male born in Pennsylvania? He is a cordwiner who can not read or write. She can not read or write. He attended school within the year. He is a cordwine (sic). He is a Lab [laborer] with $1,300 of real estate.